If you have kids, you’ve likely heard about Fortnite. The wildly popular online battle game has amassed over 125 million players and hosts more than 3 million concurrent players. The game “has brought in more revenue in a single month than any other game of its kind,” according to industry watchers, grossing over $1 billion so far this year. The average Fortnite player spends between 6 and 10 hours per week on the game and like many parents, I didn’t understand why my kids played it so much. At first, I dismissed it as a mind-numbing waste of time. Then, I tried it for myself and found I couldn’t help but admire the game’s ingenious design. To my surprise, I had a heck of a good time playing the game with my kids. In his bestselling book, Eyal describes the four steps of the Hooked Model and provides case studies for how the tech companies use hooks to build products and services people love. In this post, I use the Hooked Model to explain what makes Fortnite so engaging. Every Hook starts with a trigger. Triggers prompt us to action and tell us what to do next. In the case of Facebook or your iPhone, a trigger might be a notification or status update. This type of trigger is called an “external trigger,” Eyal says, since the information for what action to take next is contained within the trigger itself. With Fortnite, players receive notifications to join friends from inside the game. While external triggers nudge players to join the fun, Eyal says external triggers alone are not enough to build a habit. To get people to use a service without prompting, users must trigger themselves. “Internal triggers,” according to Eyal, involve making mental associations with the product. The most common internal triggers, he says, are negative emotions. For example, we use Facebook when we’re lonely or spend time watching YouTube videos when we’re bored — these products become our go-to relief from negative feelings. Internal triggers in Fortnite have to do with satiating the uncomfortable feeling of boredom and the need for social connection. While being bored is a common trigger for many forms of entertainment, Fortnite does a particularly good job of coupling the desire to connect with friends. The game allows players to invite friends, chat with them, and lets them enjoy watching them play even after their own character loses and can no longer participate. 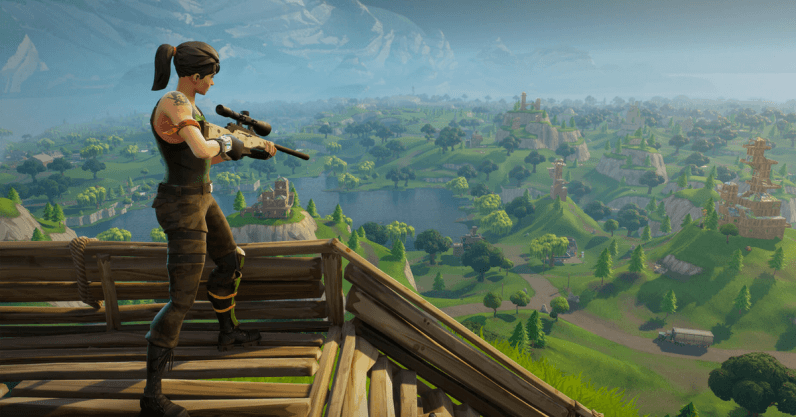 According to Eyal, “the simpler you can make the action, the more likely it is to occur.” Fortnite is available on several screens including PC, Nintendo Switch, PS4 and XBOX One. However, the simplest way to start playing is with just a tap through the mobile app. In his book, Eyal describes the power of “variable rewards.” Originally studied by B.F. Skinner, the phenomenon explains why slot machines are so engaging for the same reason people enjoy scrolling their Facebook news feeds: we love surprises and the hunt for something unexpected. The main rewards Fortnite offers is the uncertainty around each session: you have no idea who your opponents will be, how well they play, what terrain you’ll end up in, or what loot you might find once you get there. The search for variable rewards also comes in the form of ways to personalize your avatar. All these variable rewards do a great job of entertaining the player, satiating the boredom they came to alleviate. Finally, the Hook is complete, according to Eyal, when the user puts something into the product to improve it with use. In the case of products like Facebook or YouTube, an investment might be the data regarding the things you like, watch, or comment on. Investments can be passively collected, as in the case of usage data, or investments can be something the user actively does to improve the service, such as upload content or customize the experience. Investment in Fortnite primarily occurs when players pay to personalize their characters. Players can upgrade outfits, gear, and crazy dance moves (as you’ve likely seen kids imitate whenever they congregate these days). Investment in the form of personalization is a key component of why players keep coming back to the game, and of course, is how the game makes gobs of money. After all, there are all sorts of ways people chose to entertain themselves. For example, while the entire planet seemed to be glued to their television sets watching the World Cup, my kids and I were doing something much more interactive. Of course, there’s nothing wrong with either pastime as long as these activities are enjoyed in moderation and enough time is made for important things in life. Now that I understand the Hooked Model behind Fortnite’s success, I can enjoy it with a newfound appreciation as well as break the hook when it’s time to disconnect.